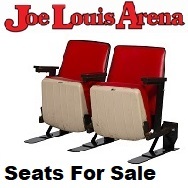 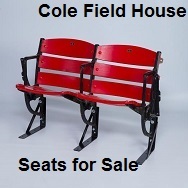 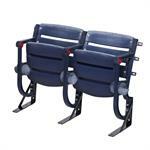 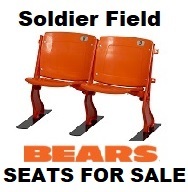 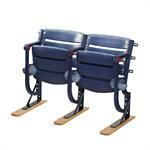 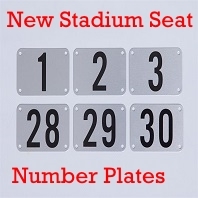 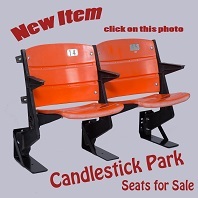 You are purchasing a set of Turner Field Stadium Seats from the former home of the Atlanta Braves. 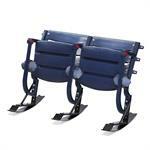 The seats come with our L-bracket floor stands that will display the seats upright and provide a way to secure (bolt) to floor for stability to sit in. 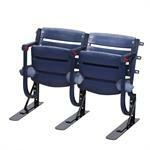 These Turner Field Stadium Seats come with our Patented Seat Feet/L-Bracket Combos which make these Riser Mount Stadium Seats Portable, Stable and Safe for sitting without the need to bolt to the floor or deck. 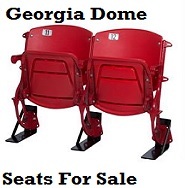 These Turner Field Stadium Seats come with our Patented Finished Oak Wood Seat Feet/L-Bracket Combos which make these Riser Mount Stadium Seats Portable, Stable and Safe for sitting without the need to bolt to the floor or deck. 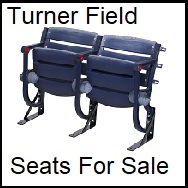 These Turner Field Stadium Seats come with our Patented Rocking Seat Feet/L-Bracket Combos which turns these Riser Mount Stadium seats into a smooth Rocking Chair.